Individualized plans for your needs and goals. Working hard to understand your objectives and putting you at the center of our focus. Assisting company owners in providing their employees the best retirement plan services. You can research, quote, and purchase life, annuity, and health products all right here. We strive for the highest standard of excellence in all we do. Building a financial plan that is in-line with your estate plan and tax plan. Providing tailored portfolio management strategies for our clients. Helping with Financial Planning and Insurance Services. We believe that a solid investment strategy must be developed individually for each client by focusing on their core goals and interests. We are prepared to help you through every step of your investment planning strategy. 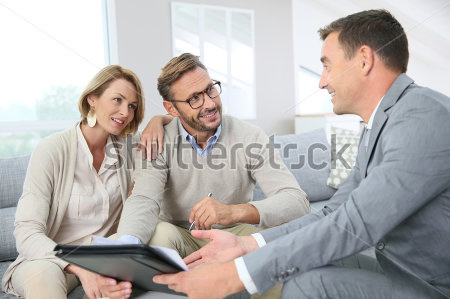 We will start by meeting with you to discuss your current financial picture and discuss your financial goals. Once we know where you are financially and where you want to be, we can provide informed advice to you about the types of products available that will help you achieve your goals. We are the only agency you will need to service all of your insurance needs. We'll do the comparison shopping for you. And with so many options to choose from, you can receive additional savings through package discounts. As an independent insurance agency representing many leading insurance carriers, NOVA Insurance Services is able to custom design your insurance program. Took out my van policy with Nova, they were very efficient and helpful that I also purchased my liability policy through them. I will be recommending to my friends and family as very competitive prices to go with their helpful service. Which insurance should I buy? Property/Casualty Insurance protects real and personal property, including homes, autos, household goods, jewelry and more. This type of insurance may also protect you from a liability that results from the use of this property. Property/Casualty insurance may be purchased by an individual or by a business. Life Insurance provides funds to a designated beneficiary or beneficiaries in the event of an insured's death. Health Insurance pays for costs related to your health (e.g., doctor visits, hospital stays and diagnostic tests). Disability Insurance combines elements of life and health insurance, and pays you for income lost due to a disabling injury or illness. Life is full of choices. Insurance is no different. By making the right choice, you will better ensure that you have the protection you need, the service you deserve and at a price that you can afford. The right choice is an Independent Insurance Agent. Employ only licensed professionals with the experience to assist you with all of your insurance needs. Offer one-stop shopping to meet your insurance needs: home, renters, auto, business, life, health and more. Act as your trusted advisor to analyze the full spectrum of risks and perils that you may face and develop a personalized insurance program to mitigate your potential losses. Represent many leading insurance companies, which gives us access to a wide range of products and services and allows us to custom-design an insurance program that best meets your needs. Provide excellent service today and tomorrow, because you will not need to change insurance agents as your needs change. Periodically review your insurance coverages with you to better ensure that your coverages keep up withyour changing insurance needs. Your satisfaction is the key to our livelihood.Therefore, serving you is our most important goal. Homeowner's or Renter's Insurance protects your residence and possessions, may offer coverage at your residence and when you travel, and may offer liability protection should you be sued. You may purchase this insurance for your primary residence, second homes and Financial Services properties. Auto Insurance protects your auto, whether owned or leased, by paying a portion or all of the expense of accidents, vandalism or theft, and may offer liability protection if you are sued because of damage your vehicle caused. Remember, if you own or lease a vehicle and live in Arizona, auto insurance is not just an option - it is a legal requirement. Similar insurance is available form motorcycles, recreational vehicles and other vehicles. Health Insurance helps you defray your out of pocket expenses for medical care, including prescription drugs. The cost of medical care goes up every year. Health insurance may be your best means of retaining the medical care you need at a reasonable cost. Life Insurance is considered by many to be the cornerstone of a sound financial plan, as it may be used to pay down or pay off a mortgage or other debt, replace income for dependents, create a source of savings and/or pay final expenses. Disability Insurance is designed to provide required income should you be injured or disabled. The extent of coverage should be enough so that, when combined with your other assets, you would have enough to live on.